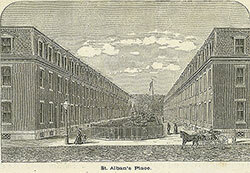 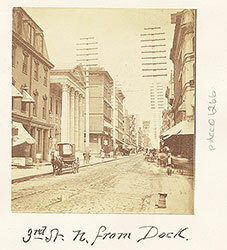 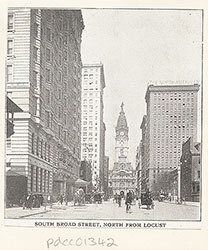 Eighth Street, Looking Northward from Market Street. 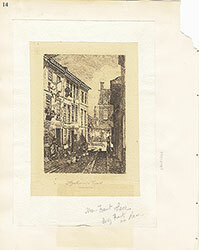 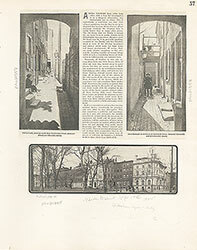 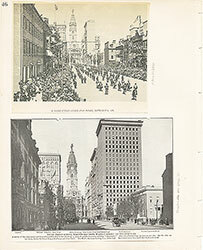 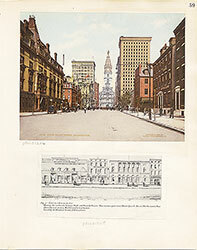 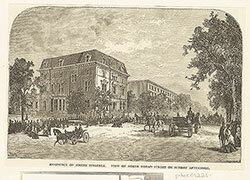 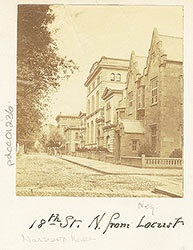 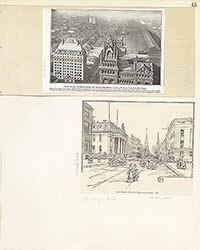 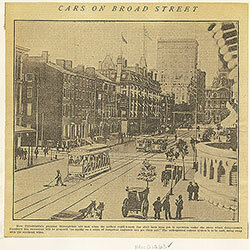 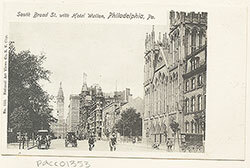 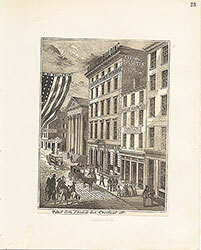 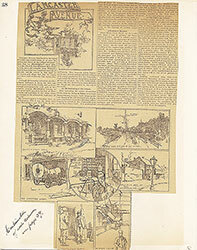 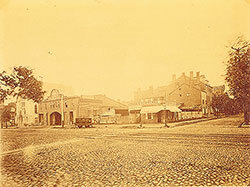 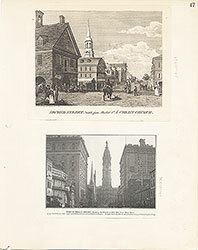 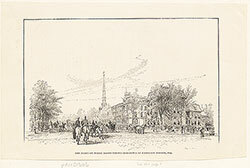 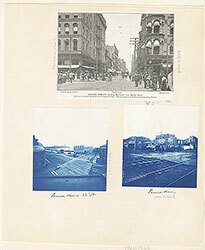 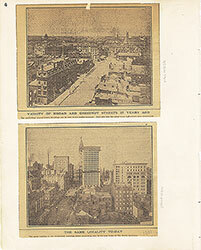 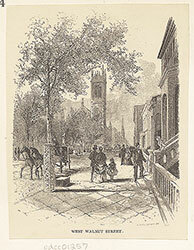 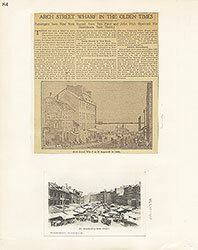 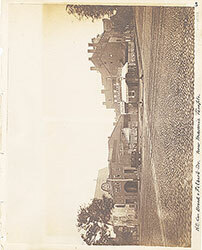 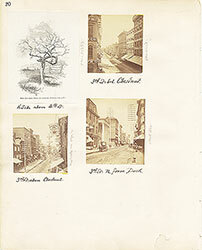 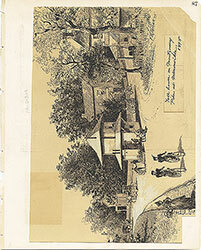 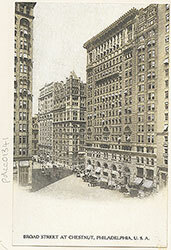 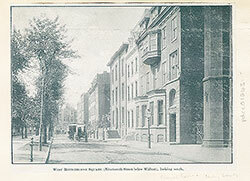 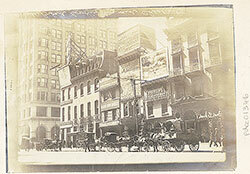 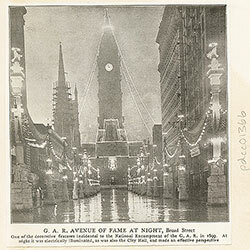 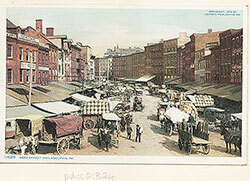 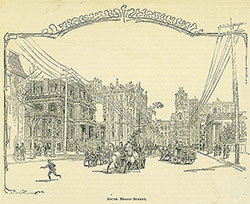 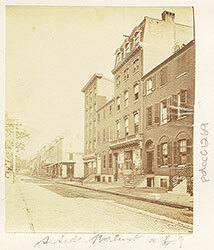 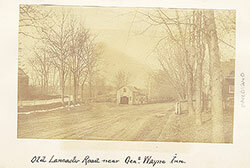 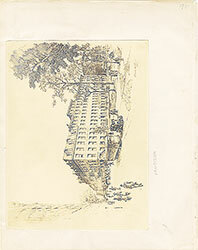 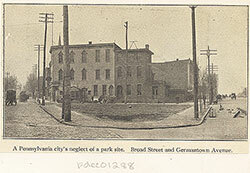 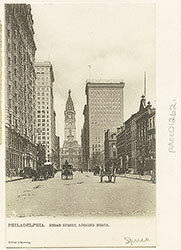 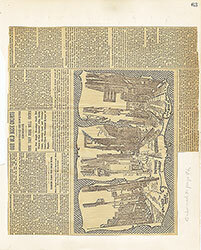 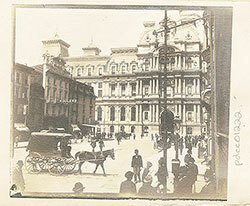 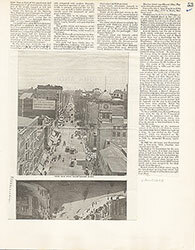 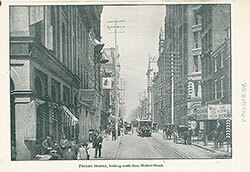 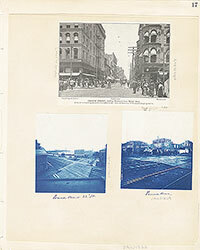 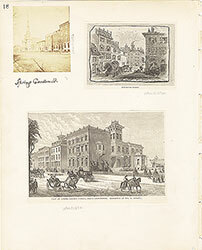 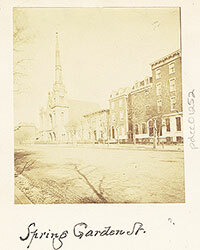 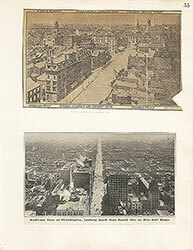 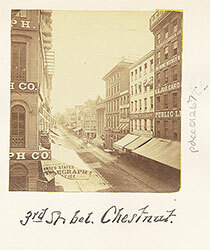 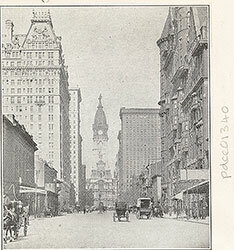 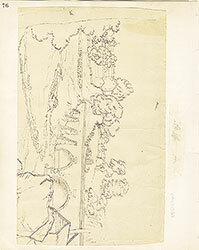 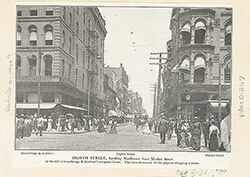 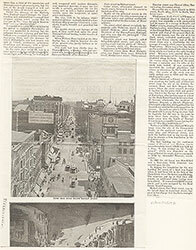 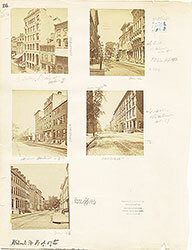 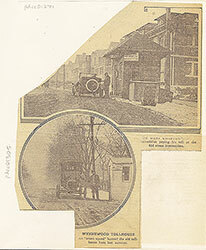 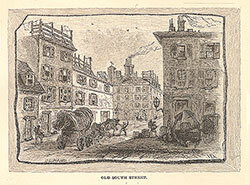 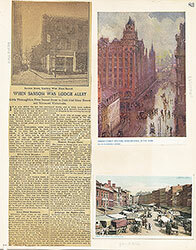 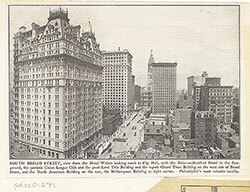 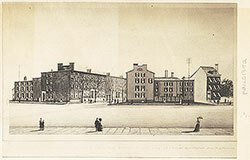 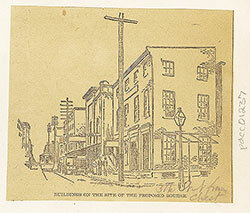 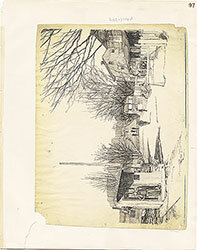 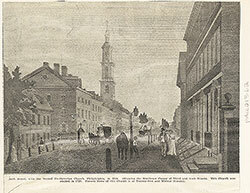 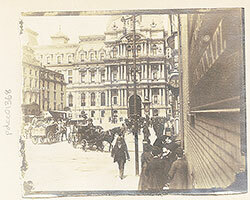 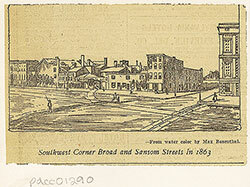 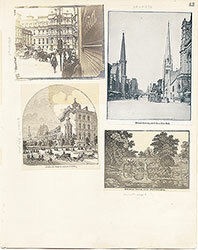 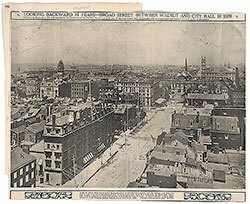 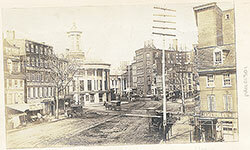 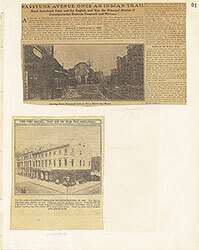 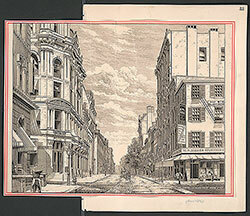 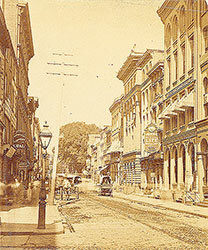 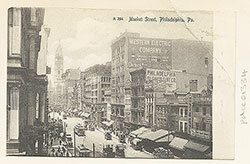 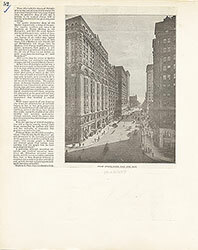 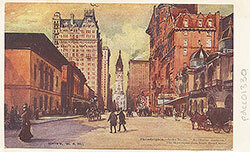 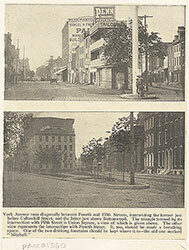 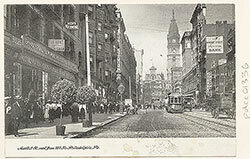 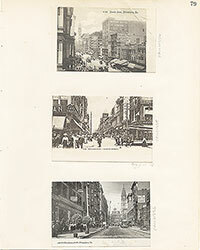 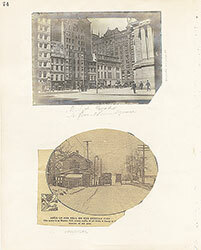 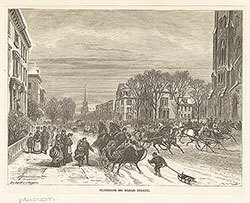 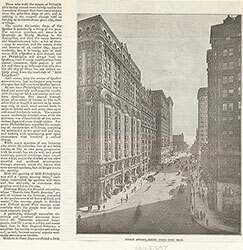 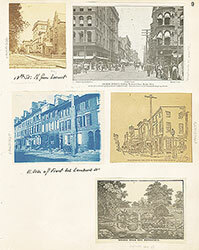 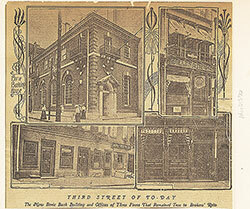 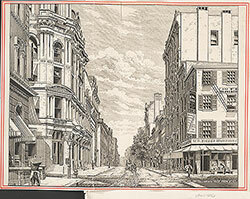 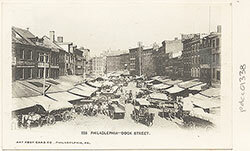 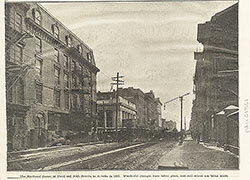 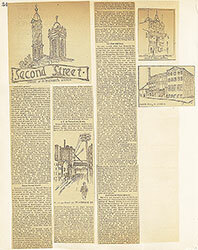 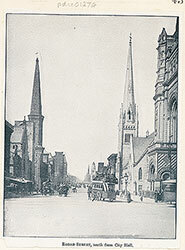 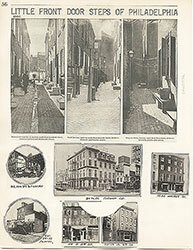 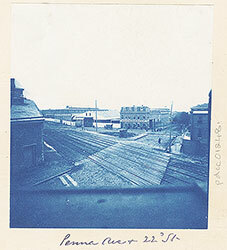 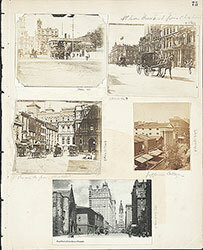 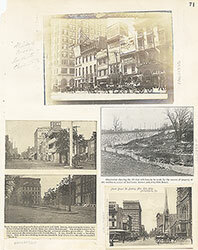 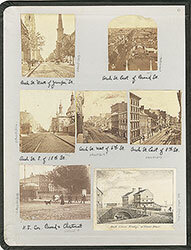 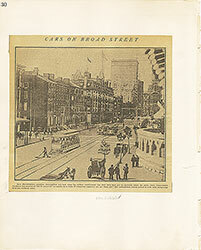 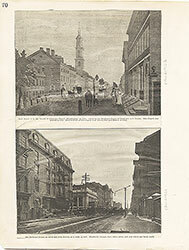 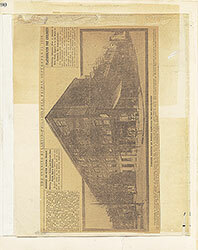 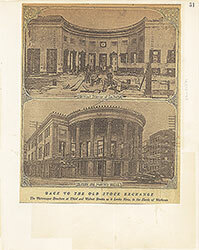 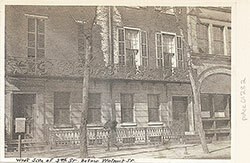 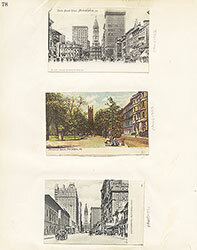 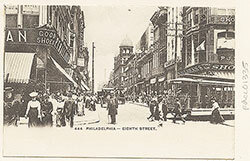 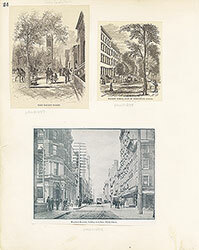 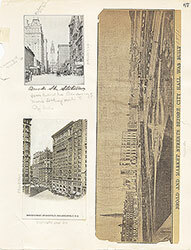 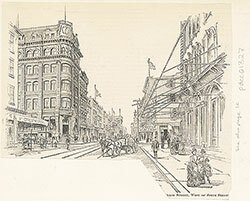 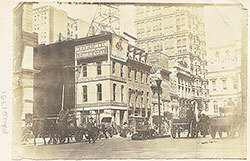 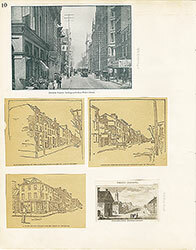 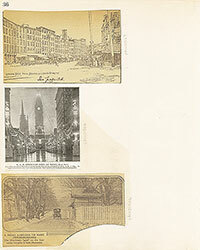 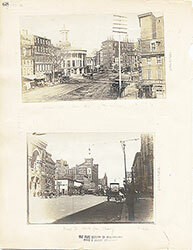 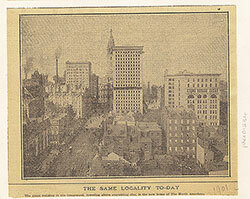 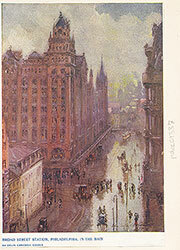 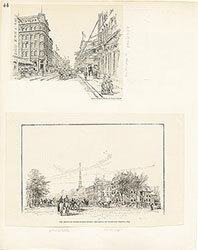 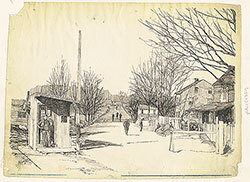 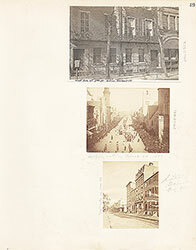 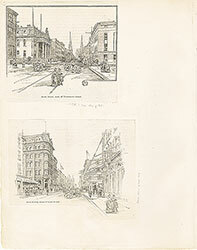 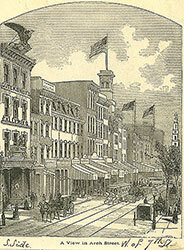 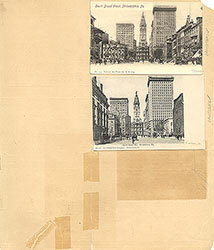 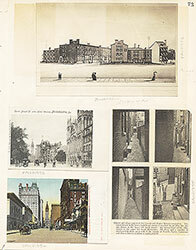 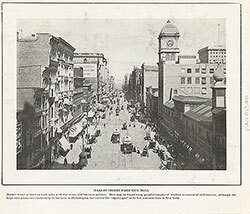 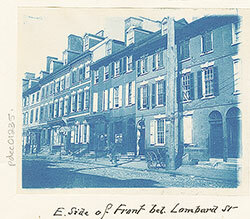 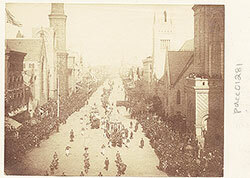 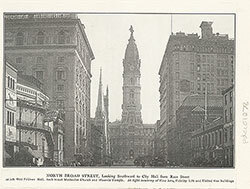 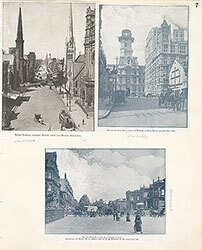 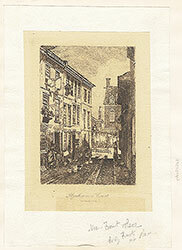 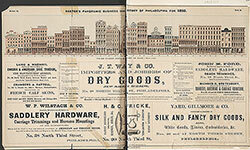 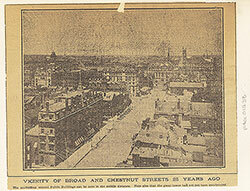 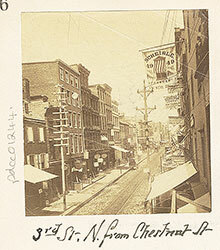 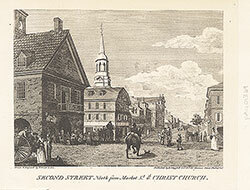 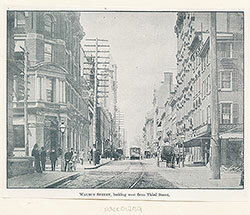 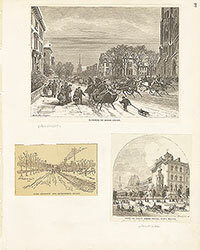 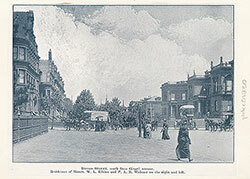 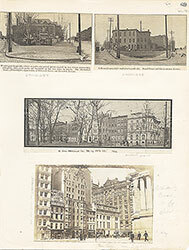 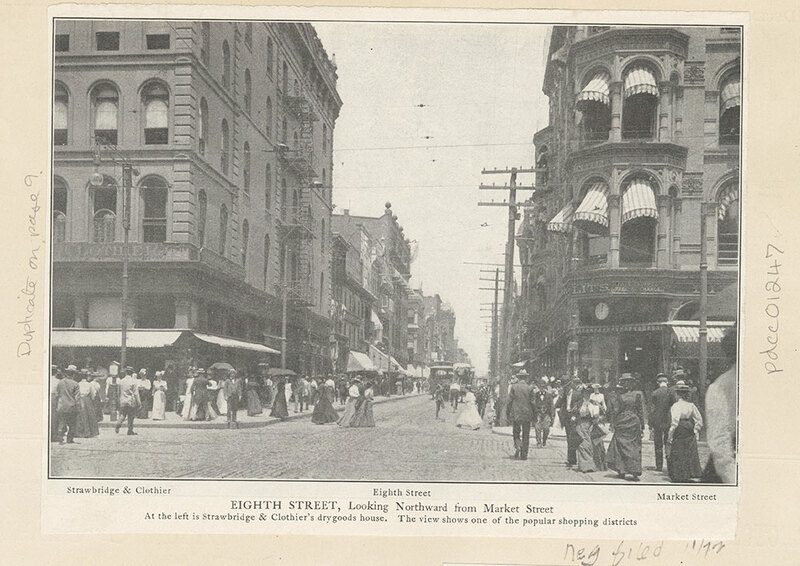 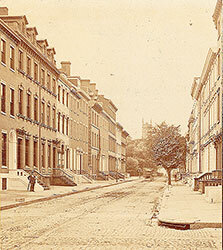 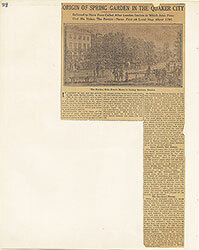 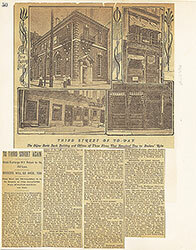 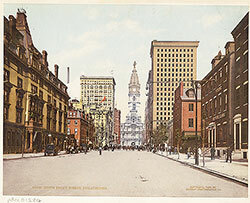 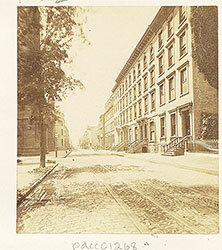 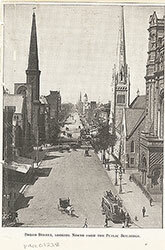 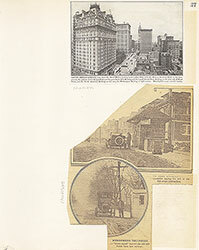 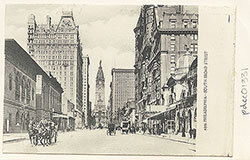 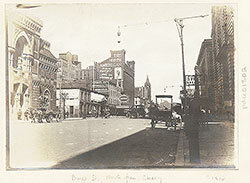 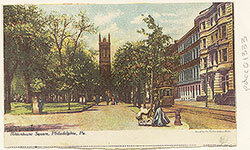 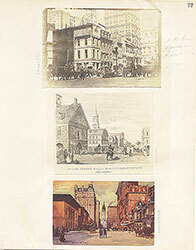 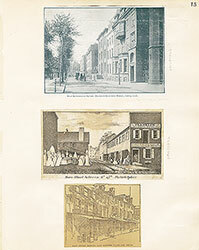 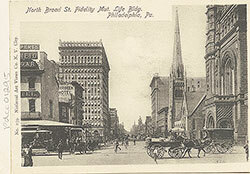 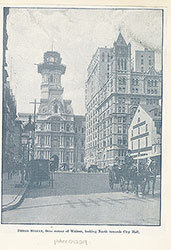 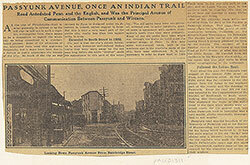 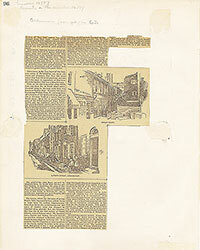 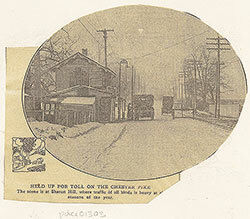 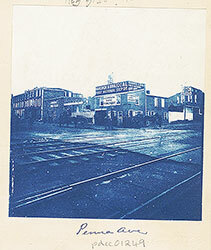 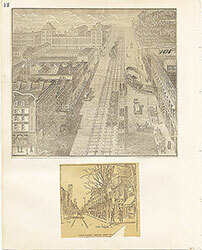 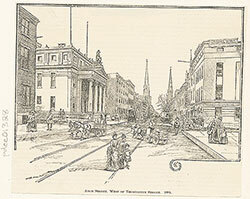 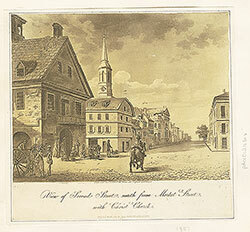 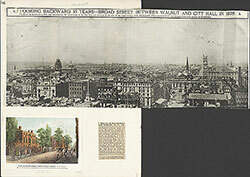 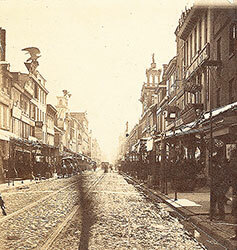 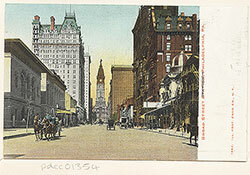 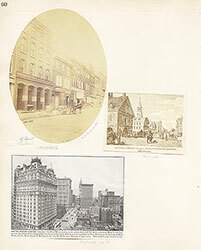 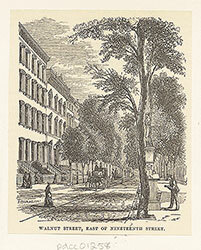 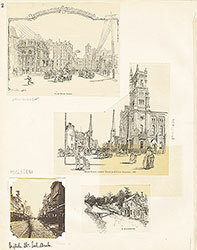 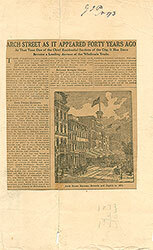 Title: Eighth Street, Looking Northward from Market Street. 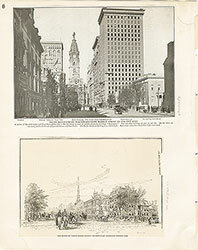 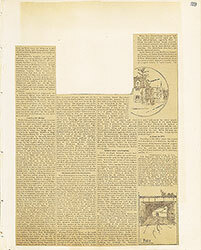 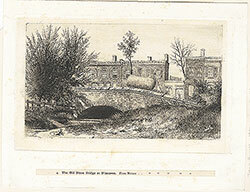 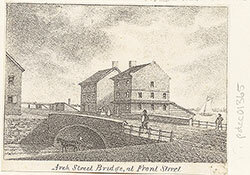 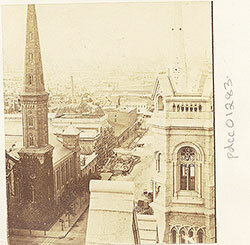 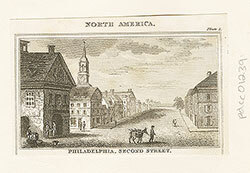 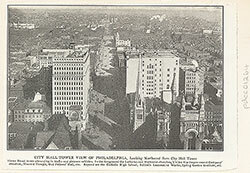 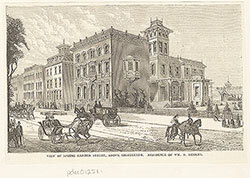 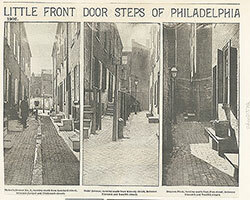 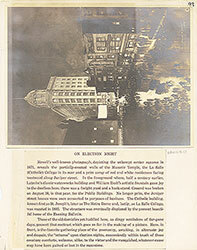 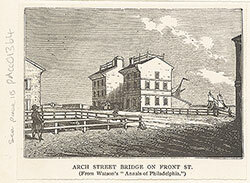 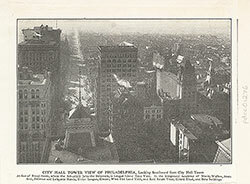 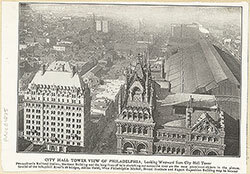 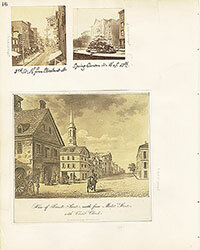 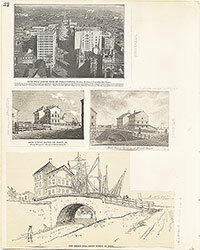 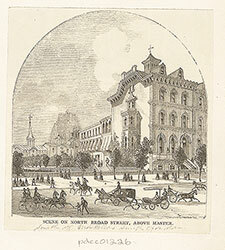 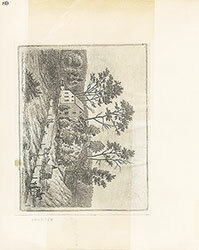 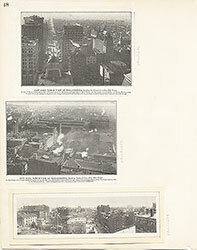 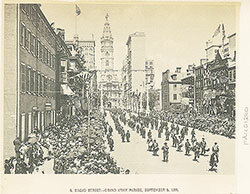 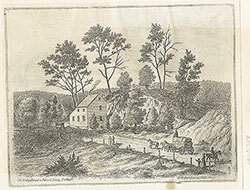 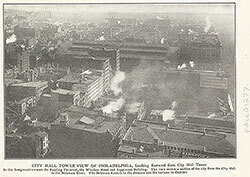 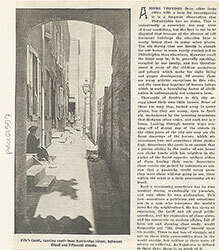 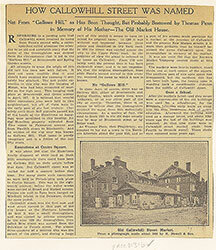 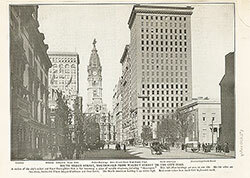 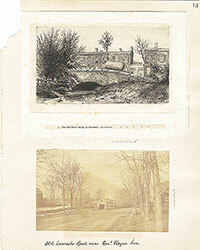 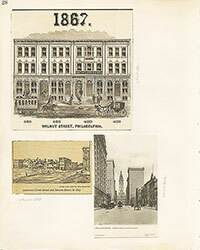 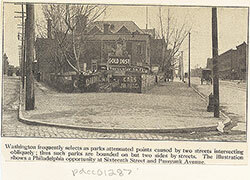 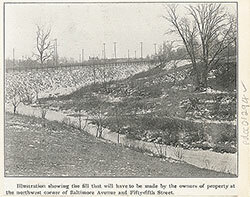 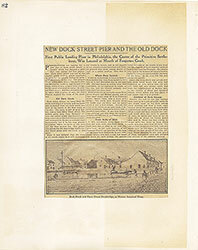 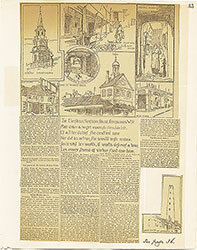 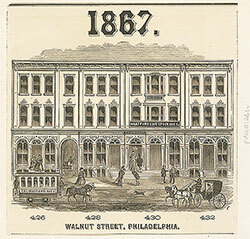 From King's Views of Philadelphia. 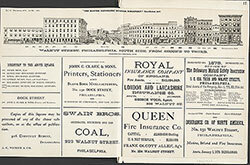 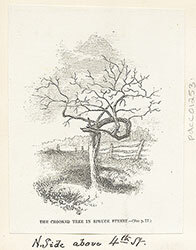 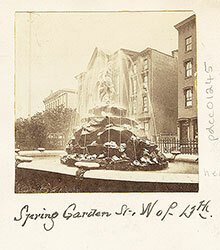 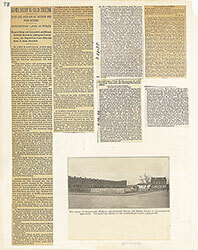 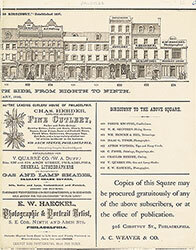 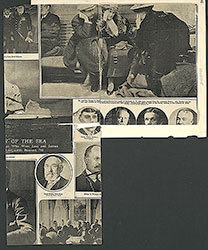 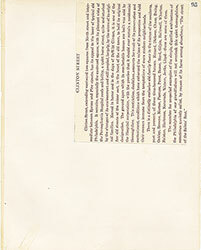 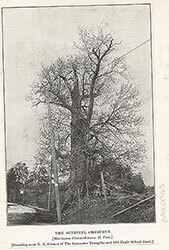 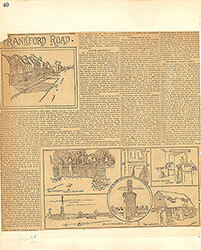 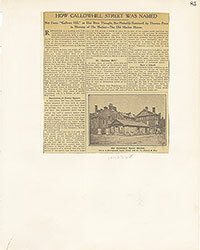 Published by Moses King, New York. 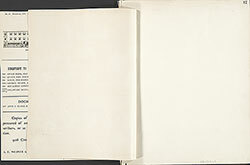 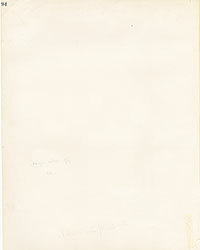 Copyright, 1900. 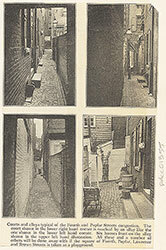 Halftone reproduction of a photograph of a popular shopping district. 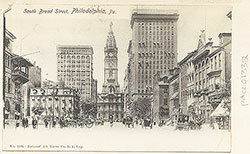 Pedestrians teem the sidewalks, while others cross the intersection at Eighth and Market Streets. 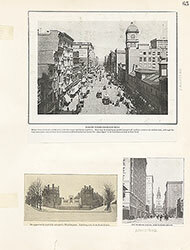 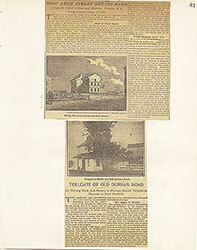 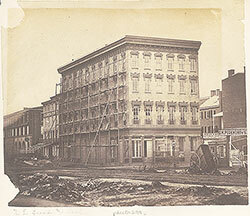 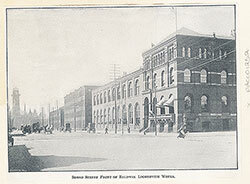 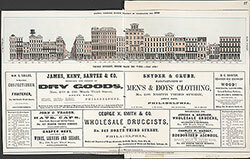 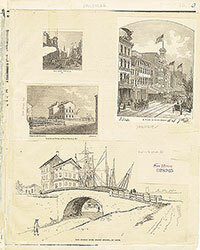 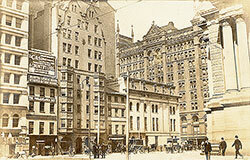 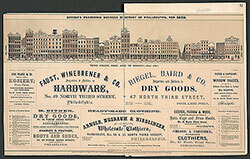 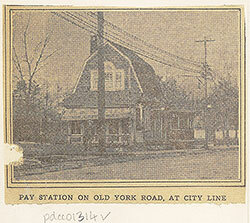 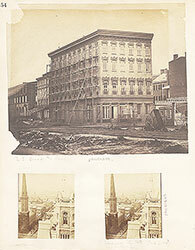 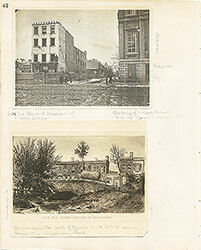 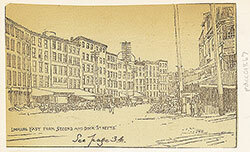 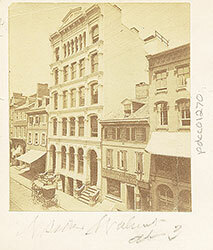 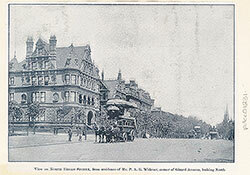 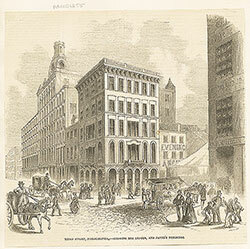 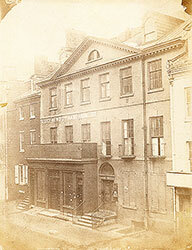 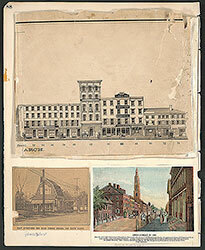 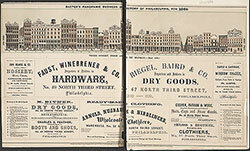 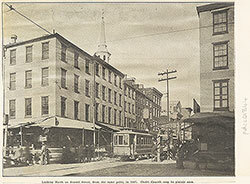 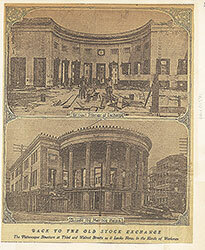 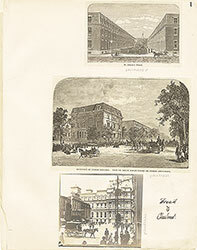 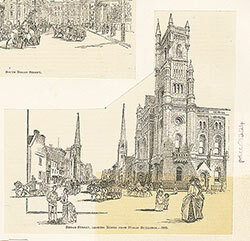 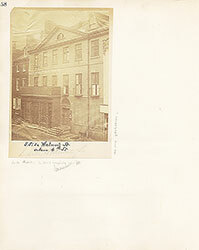 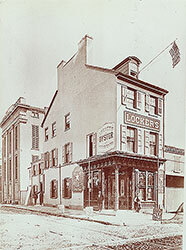 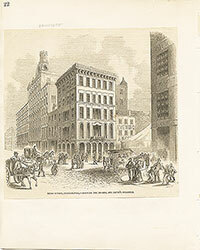 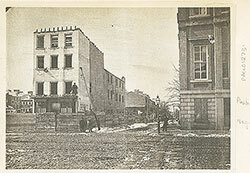 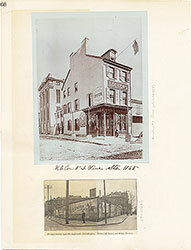 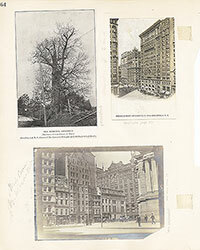 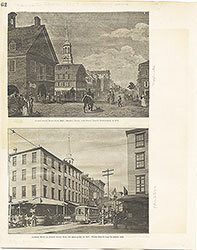 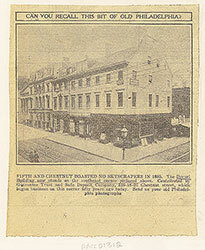 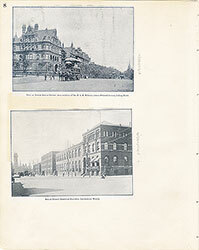 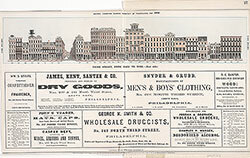 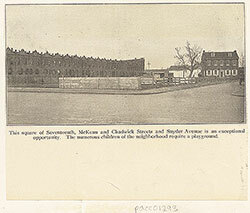 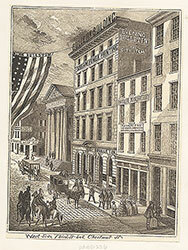 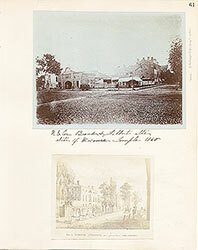 At left is a partial view of Strawbridge & Clothier's drygoods store, and on the right is Lits department store.